The selection of a figure skating coach is an important one and should be thoughtfully considered. The combination of personalities between the skater and the coach is very important in determining whether the arrangement is a successful one. The coach should be a good role model both on and off the ice and foster positive growth in the skater. Your skater will spend a lot of time with their coach. 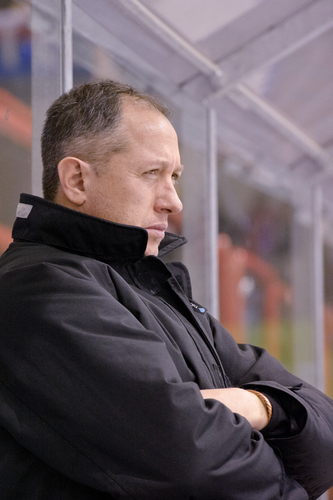 Many skaters go their entire career with the same coach. If you are considering a coaching switch, the method listed below can assist you in choosing a new coach. Never switch coaches if you are in a highly emotional state. If you are presently unhappy in your situation, go through the checklist below to help you determine if a coaching change is really needed. Plan a conference with your present coach to discuss the situation and try and work it out. A coaching change can be very disruptive to the skater. A good suggestion is to take a month to walk through the steps below carefully before making any major decisions. Before approaching any coaches, go through the following questions and document your answers to determine your needs. Even if you are a beginning level skater, the steps below will assist you in finding the coach that is right for you. Determine the present goals for your skater. Do you want to test and advance in levels or do you want to be highly competitive? Are you willing to compete? If so, how far are you willing to travel? What are your long-term goals? Is it Olympic level competition, judging, professional shows, or teaching? The coach you choose must be prepared to help your skater reach his/her goals. How much time and money are you willing to commit to the sport of figure skating? Determine the Professional Skaters Association (PSA) ratings level you require for a coach. These ratings assure that the coach is qualified to teach that level. Call the (PSA) at 507-281-5122 if you are not familiar with the PSA/USFSA coaches ratings system. They can give you a list of coaches in your area who are PSA rated and can answer any coaching related questions you may have. Determine your minimum requirements in a coach in terms of the test qualifications of the coach, past student levels, ratings, commitment, availability, etc. Obtain a list of coaches and their resumes from your rink list above. Narrow down the list of potential coaches. Eliminate coaches without the appropriate skating background, test level qualifications, PSA membership or rating qualifications that you require. Observe them on the ice from a discreet area of the rink to determine their teaching style and present student-coach relationships with various students. Observe various students of each coach during their practices. Does the skater appear happy? Is there a positive situation? Are the skaters able to structure their practice time? Observe the coach off the ice. Are they available for questions? Are they open to comments? Do they appear to get along with the other coaches and people around them? Eliminate coaches based on your observations. You now need to begin the phone interview process to get a feel for their personality. If you presently have a coach and are definitely looking for a new one, have you notified your present coach you are planning to switch? If not, be sure to mention in the phone interview that you are only considering your options at the present time. Do not go into the details of your present coaching arrangement with any potentially new coaches. Are they a PSA member? This ensures the coach abides by the PSA Code of Ethics & offers a grievance procedure if there are problems. PSA ratings. Are they rated, and if so, for what level? If not, do they have extensive experience in the field? Do they attend educational events regularly to ensure their teaching methods are up to date? Are their present students reaching their goals? What is their personal availability and commitment level? What do they require of their students? Are their present students able to get enough lesson time? Can lesson times be added throughout the season? Injury record of past students. Inquire of names and phone numbers of previous students no longer skating (for reference). Do they offer a trial lesson without any form of commitment? Are they accepting new students? Personality compatibility of skater & coach. Would your skater and this coach be compatible? Teaching style of the coach. Would your skater respond well to them? Coach’s communication skills. Are they easy to talk to? Ask around about the reputation of each coach in the community. Are they respected? Do they meet your coaching requirements? Call at least two prior students to get a feel for their experiences with this coach. It is important to follow the PSA guidelines regarding switching coaches. Do not start lessons with the new coach until you have notified the previous coach and all lessons are paid in full. Going through the steps above should help match your needs to the coach who can best fulfill those needs. Nothing can ensure that every situation is perfect, but rest assured that by following the above methods, you have done everything you can to ensure the chances of a positive and rewarding experience for your skater. As in any good relationship, the skater-coach relationship must be built on trust & respect. — Candyce has served as PSA State Education Director for Minnesota and is Master-rated in Figures, Freestyle, Group and Program Director. Great blog article on choosing a coach! My whole life I wanted to be a figure skater and now that is what my daughter wants to be. I have no idea how to find her the right coach and this article really helped. You mentioned that asking questions to potential coaches and seeing their reactions is a great way to determine if they are right for me. My favorite question about was what do they require of their students. Thanks for the help. « QnA: My child is struggling. Should I let her quit figure skating?